This article will cover the complete history of preterhuman.net (Higher Intellect) and how we got to where we are today. This will also cover numerous technical details about the preterhuman.net deployment as well as a few pictures of the equipment over the years. The idea for preterhuman.net (Higher Intellect) came about in 2000-2001 as an online document/text archive available publicly via the WWW. 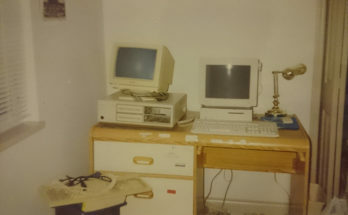 Project administrator Paul Lezica had begun collecting text files from numerous sources in the late 1990s while also archiving old computer software. Paul’s vision was to create a public archive of knowledge and to assist with keeping old software available to hobbyists and other collectors. 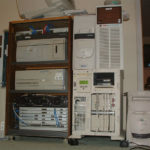 In the summer of 2001, Paul purchased a Compaq ProLiant 5500 server from a used computer store in Kelowna, BC named “Reboot.” The server and website went live in Calgary, AB in late 2001. 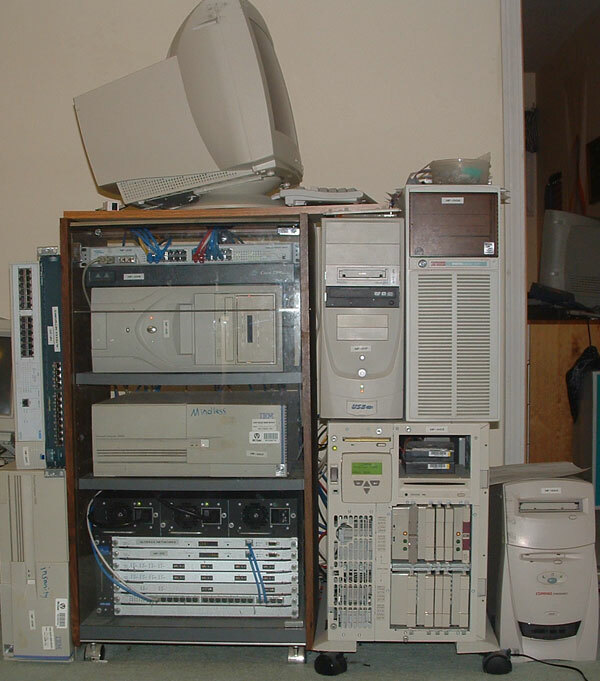 The Compaq ProLiant 5500 ran on a single Pentium Pro 200 CPU, 128MB RAM, dual 10GB IDE drives and Debian Linux. Internal connectivity ran on a 3Com 10Mbit hub and external connectivity was a business class ADSL line rated at about 640Kbit upstream. WWW traffic was served with Apache HTTP and the site also hosted a chat environment using peer-to-peer software Hotline. The Hotline server quickly became popular as numerous users were interested in the antique software collection available for download. This led to a number of users becoming regular members of the server and chatting with others on a daily basis. The Higher Intellect Hotline server also became the new home for a few members of a previous Hotline server “Elite Praetorian” which had shutdown prior to the launch of preterhuman.net. 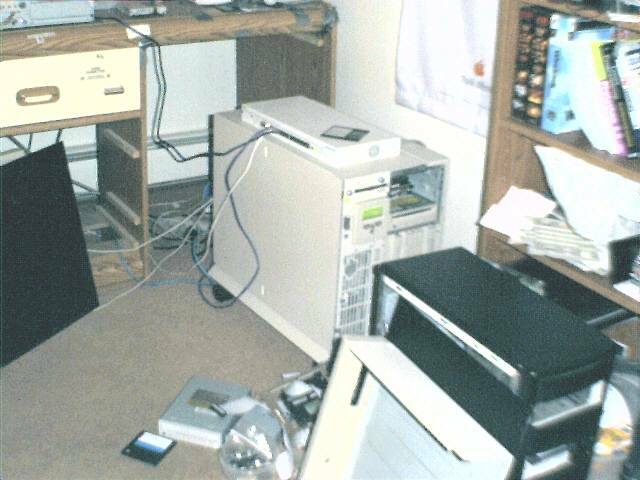 In early 2002, Paul and the Higher Intellect server relocated back to Kelowna, BC. Services were brought back online externally via business class ADSL provided by the local telco. Internal networking was upgraded to a 3Com 10Mbit switch. 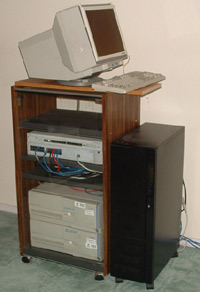 The server hardware remained fairly consistent through 2002, and major upgrades came to the site in 2003-2004. The first upgrade to the Higher Intellect server moved the core services out of the Compaq ProLiant 5500 and into faster but cheaper consumer x86 hardware. With the acquisition of other x86 hardware, we installed an OpenBSD based firewall in front of the public server. 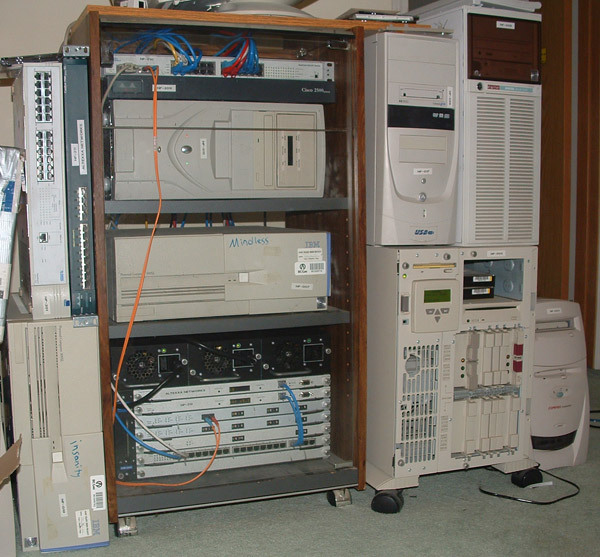 Further hardware changes in 2003-2004 included a core network switch upgrade to a Nortel 100Mbit switch and the addition of a Marconi ESR-5000 for additional routing/switching expansion. 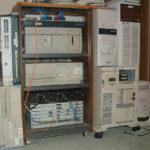 Increased demand for compute resources also required the addition of dedicated terminal services provided by Windows Server and Debian Linux. 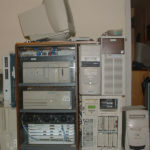 The Compaq ProLiant 5500 was also brought back online to provide additional storage resources. During these years of growth, the Higher Intellect site underwent changes to accommodate new features. 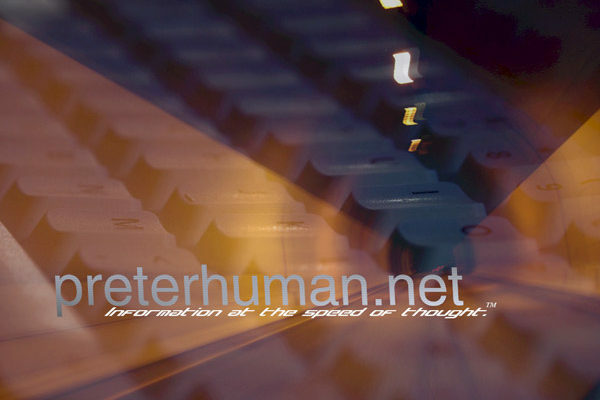 Public forums were introduced to preterhuman.net in 2004, and a search engine was created for our text archive available over the WWW. For Hotline clients, a server tracker service was launched which acted as an index of Hotline servers. A critical problem we now faced at this time was bandwidth availability as home/business connectivity offered by the local ISPs severely lacked in upstream capacity. 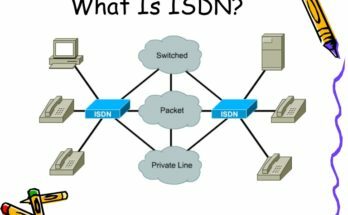 Our site also faced additional issues which included a billing dispute forcing us to switch ISPs in 2005. The shift to commercial hosting. Paul was hired by a local datacenter in late 2005 which created the opportunity to relocate core preterhuman.net services into a commercial hosting facility. 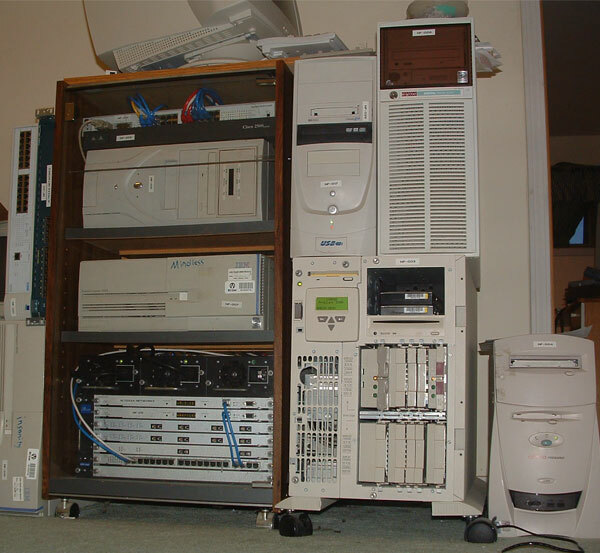 Our first rack-mount server was purchased on eBay and was powered by a Pentium III. All preterhuman.net data was consolidated into this new server by 2006 and we retired a number of the old servers at the previous residential location. Our available upstream capacity now reached more than 10Mbit. 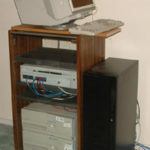 Between 2006 and 2008 we upgraded the core rack-mount server to a Pentium 4, added more available storage, offloaded other site hosting to a Mac Mini running Debian Linux and added a Windows Server based system for terminal services. 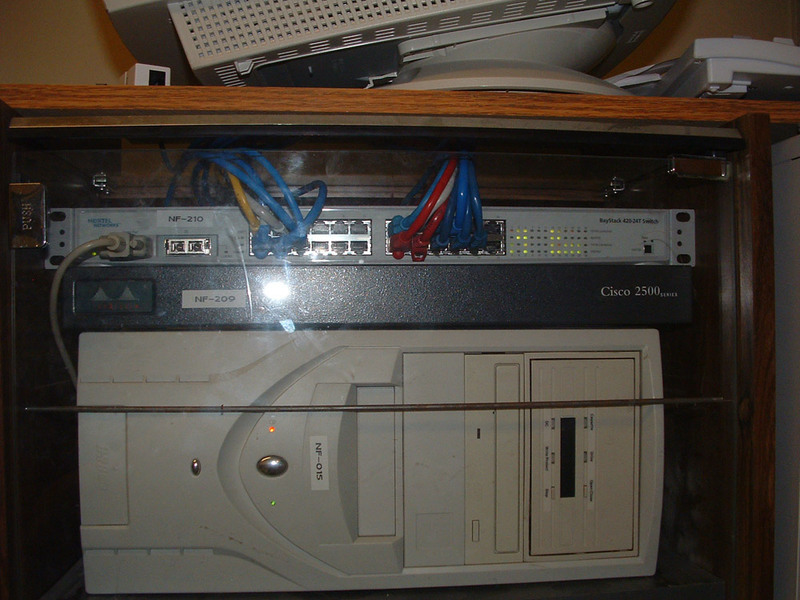 A Cisco Catalyst 1900 switch was used to connect all servers to the datacenter uplink. Paul left the datacenter in 2007 and in 2008 the preterhuman.net servers were relocated to another local datacenter due to cost. In 2009, some of the consumer grade components in our servers began to experience failures and the site experienced downtime while an emergency server was provisioned and delivered to the datacenter. While the backing hardware was considered to be a temporary solution, we still worked on new areas of the site such as our 68k Macintosh software page and performing core site re-designs and updates. 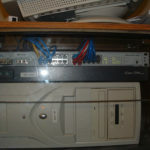 In 2011 we acquired an HP DL140 which ran behind a modified Cisco PIX firewall. Our expanding services also required the use of server virtualization so we began using OpenVZ to handle these requirements. WWW demand and decline of Hotline. By 2012 the Hotline community had declined significantly as many users had switched to competing protocols such as KDX and Wired. The Higher Intellect server does also run the KDX protocol but this never reached the same levels of popularity compared to Hotline. While our peer-to-peer usage was on the decline, our public text archive on the preterhuman.net site was becoming increasingly popular and again we were hitting the limits of our available bandwidth. In 2013 we rolled out a major change to how preterhuman.net distributes text files. All URLs were now redirected to a new location at “cdn.preterhuman.net” which was backed by 4 mirrors located in the US and Europe. This change took the load off our local datacenter servers and distributed it among the mirrors which offered combined capacity beyond 100Mbit. By 2014 we had also introduced a caching layer provided by Cloudflare which reduced the bandwidth load on our mirrors. Between 2014 and 2017 we performed a couple major hardware refreshes which provided compute and storage upgrades to accommodate new requirements. During this period we also ditched OpenVZ for VMware ESXi which has given us flexibility and stability in our environment. This change in virtualization software also allowed us to adopt virtual firewall appliances instead of running these as physical devices. As of 2017, all of preterhuman.net is consolidated into the single physical ESXi node. Our most recent hardware refresh occurred earlier in 2017 and also happens to be the most expensive, though we planned this refresh to last a number of years. Our core hardware node features 240GB RAM, 16 CPU cores and a mixture of SSD/SAS/SATA storage. The core preterhuman.net site runs as a virtual machine and serves WWW clients using Nginx. Our databases run from a separate virtual machine backed by SSDs and use MariaDB. We will continue to run our legacy peer-to-peer Hotline/KDX protocols for the benefit of hobbyists and collectors using older computers on the Internet. We’ve also stepped up expansion of our services with the ALTEXXANET public FTP. The blog which you’re reading this article on is the latest preterhuman.net addition. 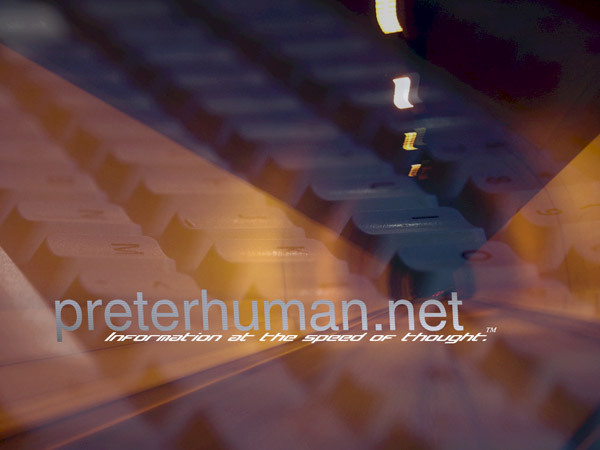 At the time of this article, the preterhuman.net site has been live for 16 years. We’ve seen similar sites with antique software collections launch and disappear, and any unique content they held likely lost in time. The preservation of knowledge and software from the past continues to be one of our top priorities. The original plan for preterhuman.net didn’t really go this far into the future but we’re not likely to stop running the site anytime soon.